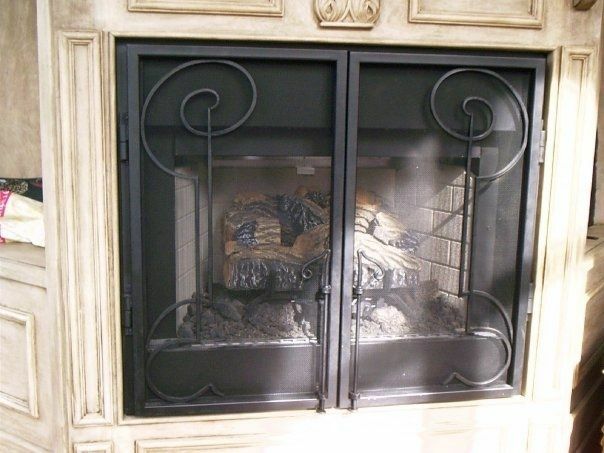 This customer wanted to dress up the gas log fireplace in her new home. The design was simple and compelling. The function was there also as there wasn't really room for a stand alone screen to be moved around in the library.